Retired diplomat, Hans Blix, is most well-known for his involvement in the United Nation's disarmament and monitoring program of nuclear weapons in Iraq. Hans Blix is your Connector of the Day. The 82-year-old Swede was called out of retirement by then former Secretary General, Kofi Annan in 2000 to help lead the UN's effort in Iraq. As head of the United Nations Monitoring, Verification and Inspection Commission, Blix was responsible for taking inspection teams into Iraq to make sure that the country was following proper disarmament guidelines. During his tenure as the chief inspector, Blix admonished former leader Sadaam Hussein for playing 'cat and mouse games' and for a decade of unnecessary sanctions. Blix also clashed with the Bush administration over the reasons to go to war. After leaving the United Nation's role in 2003, Blix went on to write two books on his role in Iraq. This week, Blix will be appearing at the Iraq Inquiry in the United Kingdom to testify over his involvement in the lead up to war. 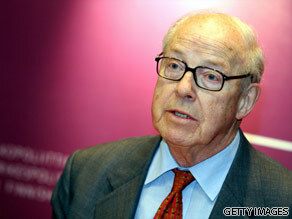 Here's your chance to quiz Hans Blix. Do you want to know about what it was like being part of the inspection monitoring process in Iraq? Does he have any doubts? Was war the right decision? –	In what way has the Replacement of Kofi Atta Annan by Ban Ki-moon Disturbed the United Nations Mission in Iraq? – What is your opinion on the way Barack Hussein Obama, the President of the United States of America, is handling Iraq? – In what way is it possible that UN soldiers work for 3 months abroad(Iraq) and get released by other shift teams for 3 months, so that the soldiers can spend More Time with their Families? I am awaiting Hans Martin Blix’s replies. In your opinion what is the reason the United States invaded Iraq? Do you think of the of Wikileaks? Do you believe the Iraq and its people (including ethnic minorities) will eventually – without putting a time on it – have a safer and stable future, more so than what Sadam would have provided. I would like to know what was his reaction the moment he saw Colin Powell declare to the world of the (now so-called) evidence the U.S. had that Iraq was harboring nuclear weapons? Also why wasn't there a full investigation to disprove the 'evidence' the U.S. claimed to have? It would've saved a lot of headaches down the road. Thank you for this collaboration with CNN and agreeing to make yourself available to answer the public's questions. I know there are have been many serious posts but I'll give mine more of a comical spin. In the comedy film composed of marionettes, "Team America: World Police," your character is depicted in the film as having a conversation with Kim Jung-il in Mr. il's palace. You warn him of the consequences of the United Nations' action if you're kept from inspecting the entire palace for weapons of mass destruction. When Mr. il is defiant and asks what the repercussions are for not cooperating, your character in the film is quoted as saying "we (the UN) will be very very angry with you. And we will write you a letter telling you how angry we are." This film is a satire, of course. However, this is the perception for much of the public: the UN really cannot do anything. Dictators persist and armed conflicts around the world continue while the United Nations condemns and hands out sanctions. What's your response to the claim that the United Nations is, ultimately, ineffective? Again, thank you so very much for your time. In 1991, when a ceasefire was called and Saddam's forces were forced to withdraw from Kuwait, one of the major conditions was that Saddam and his regime should provide the UN a full and accurate accounting of all his illiicit weapons stockpiles and their locations, whereupon the UN's designated agencies would physically verify and oversee the destruction of said arms. When Saddam provided this accounting to the UN, it was discovered that Iraq was claiming that some of what they were reporting of having had, they had already destroyed themselves. This was in defacto contravention of the ceasefire. Furthermore, when the UN's agencies reviewed what Saddam then claimed to have destroyed, they asserted that some of that material Iraq had neither the means nor wherewithal to destroy themselves. The experts also added that there was insufficient evidence to show that those particular weapons had been destroyed, as claimed by Saddam. And that if he had destroyed those materials, then there would have been some trace evidence. This is not speculation – this is documented in the many UNSCRs which followed in the months after the ceasefire. Neither are these assertions solely those of the United States, but of the UNSC, based on reports from their agencies of which you have been a part. My question is this... If *your* agency had a list of illicit arms provided to you by Saddam, and in which he claimed to have destroyed those arms himself (which he was not allowed to do), and *your* experts maintained that Iraq didn't have the capability to have destroyed them... then what happened to the unaccounted-for weapons which Iraq, according to you, couldn't destroy themselves without leaving traces of its [incomplete] destruction? Did Saddam mislead the world? Is the US [and Britain] an easy scapegoat for the UN's and your own incompetence... Sir? Please explain what efforts were made by the US & British government to squelch your findings that Iraq had no MWD? Please explain the role the press took in note detailing early on there was no WMD's. Do think those who falsified evidence should be heal accountable in the World Court? or a US or British court? How much money does Sweden spend on developing weapons and fighter aircrafts? With the absence of the Saddam regime, do you think the world is generally more or less secure regarding the threat of nuclear weapons? Did the invasion of Iraq scare other rogue entities or did it further radicalise them? Also, how can this war be repented for? With the devaluation of thousands of human lives to acquire the desired end, the U.S. and the U.K have managed to be constantly criticized domestically and resented abroad, how do they restore any moral relevance as leaders of the free world? I have the impression at that time you have taken too much time, instead to say right away NO to George Bush, as did Mohamed El Baradei in one way. Result: Elbaradei is a Nobel prize winner and you have missed an historical chance to have yours. What were your thoughts during the war knowing it was being wagged for the wrong reasons? This is Soheila , News Coordinator at Press TV. Would love it if you could provide me with your contact information . STILL I REMEMBER THE DAYS BEFORE INVASION AND YOUR ATTITUDE TOWARDS IRAQ WHATEVER WAS THE REASON FOR THAT NOBODY KNWS. I REMEMBER YOUR WORDS WHEN THE SCIENTIS TS SPECIALLY ONE INDIAN SCIENTIST GAVE HIS FINDINGS THAT THERE IS NO WMD. YOU ASKED "ARE YOU SURE THAT THERE IS NO WMD IN IRAQ?" REMEMBER YOUR WORDINGS AND REPORTS AND THINK ABOUT YOUR QUESTION. NO ONE CAN GIVE YOU ANSWER BECAUSE NO ONE CAN CHECK EVERY HOME AND EVERY POCKET FOR THE WMD. A LITTLE FAVOR TO US GAVE HIM THE EXCUSE FOR THE ATTACK. SECONDLY, THE SAME GAME IS PLAYING WITH IRAN. IN THIS CASE ALSO, THREE WORLD BODIES ARE RESPONSIBLE FOR ANY DISASTOR. Why does it seem that it's only Iran whose possesion of nuclear weapons in of danger to the world? What of the others aside Iran? What would say frightened you most on your job?